On December 9, 2018, the Royal Australian Air Force (RAAF) received its first two Lockheed Martin F-35A Lightning II joint strike fighter aircraft at RAAF Williamtown air base to be part of its first operational squadron. 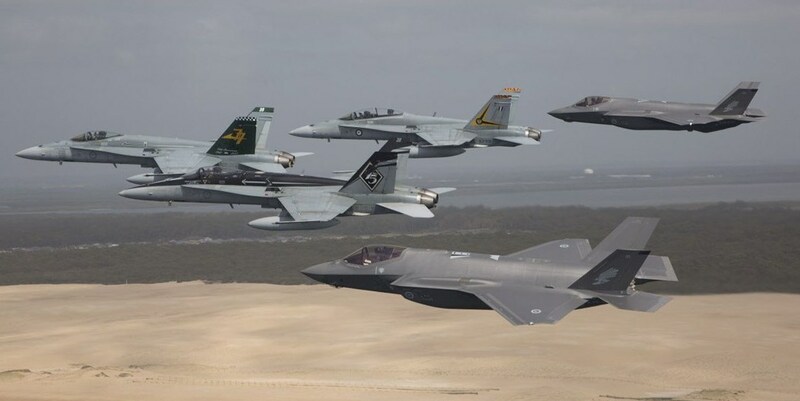 Australia becomes the 7th nation with F-35 aircraft based locally on their home soil, joining the United States, United Kingdom, Italy, Norway, Israel and Japan. Till date, Australia has received 10 aircraft, the remainder of which are stationed at USAF Luke Air Force Base in Arizona where they are part of the international cooperative F-35 training operations. The country will spend an estimated AUD$ 17 billion in procuring 72 of these type of aircraft (forming three operational squadrons) to replace the RAAF's current inventory of F/A-18F Super Hornet aircraft. Acquisition of an additional operational squadron – bringing the total number of F-35's to around 100 – will be considered at a later date in conjunction with a decision on the withdrawal of the F/A-18F Super Hornet expected early in the 2020's. The 5th Generation F-35 is the most advanced fighter jet ever built which comes with a high degree of lethality, survivability, and battlespace inter-connectivity. It is the outcome of US-led Joint Strike Fighter program (16 years in the making) aiming to develop a global fleet of 1000 advanced jets. The aircraft utilizes an array of advance sensors and low observability features in "contested airspace" and uses a picture of the battlespace for other military assets which includes air, land, and sea. More than 50 Australia-based companies are contributing to the global supply chain of the F-35, and these companies have been awarded more than AUD$ 1.3 billion in contracts, providing more than 2,400 highly skilled jobs locally. "Australia plays a significant role in the program with a suite of local industrial technology and know-how behind the hundreds of F-35s flying today, as well as the thousands of F-35s that will be produced in the future." Di Pietro said.